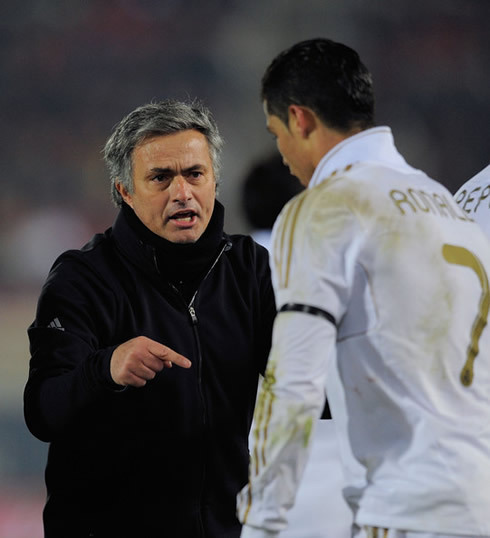 ﻿ José Mourinho: "Cristiano Ronaldo deserves the FIFA Balon d'Or this season"
07.05.2012 » Mourinho: "Cristiano Ronaldo deserves the FIFA Balon d'Or this year"
There's only one game left in Real Madrid schedule this season and nothing left to decide except the possibility of setting a new record in points in La Liga. 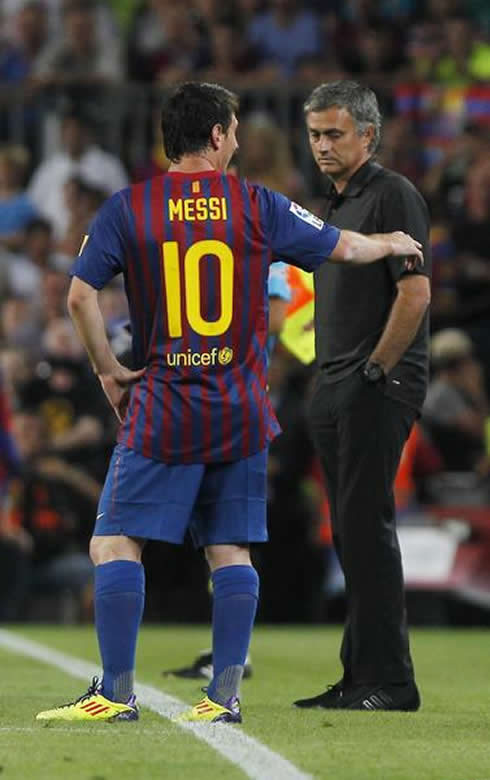 With that in mind, José Mourinho talked with the Spanish ABC station and indirectly approached Pep Guardiola's work in Barcelona, as well as a few other topics concerning the rivalry between Ronaldo and Messi, or the potential move from one of the Madridismo's most loved ones, Gonzalo Higuaín. 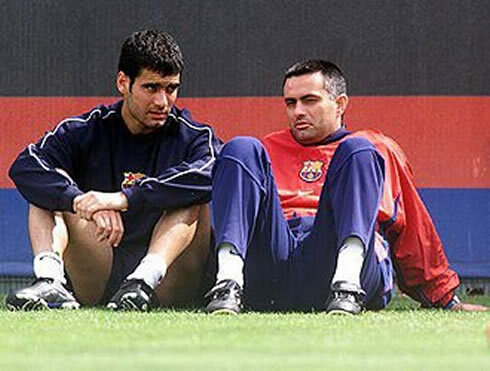 The man behind Real Madrid's wheel, José Mourinho, granted an interview to a Spanish network called ABC this weekend and was keen to leave a few remarks about the Blaugranas after Pep Guardiola's departure from the club, as well as a few insights about Cristiano Ronaldo and Lionel Messi. 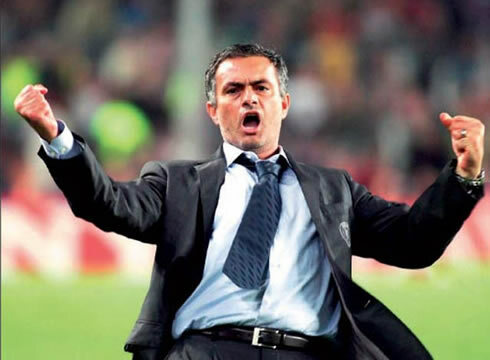 The Portuguese coach also remembered he is the first manager to have won the strongest 3 domestic leagues in Europe, those being the English Premier League (with Chelsea), Italian Serie A (with Inter Milan) and now the Spanish La Liga (with Real Madrid). 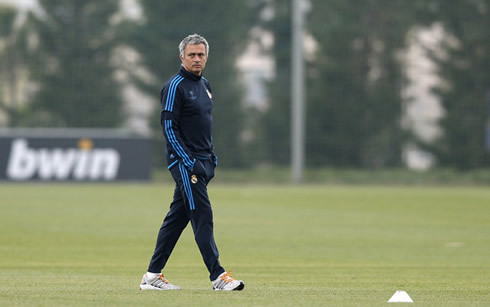 Regarding Gonzalo Higuaín's recent transfer rumors, Mourinho disclosed that he counts with the Argentinian for the battles coming next season. 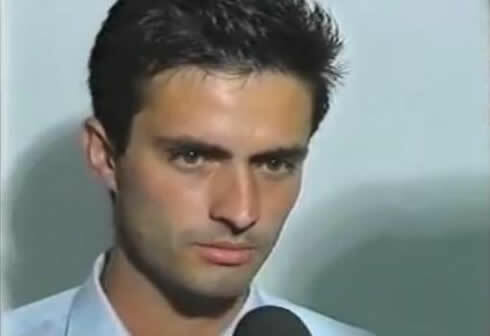 The Portuguese coach started the interview by describing himself. 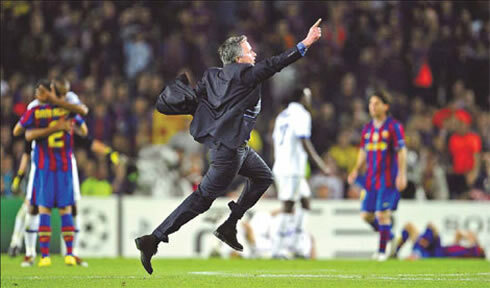 José Mourinho: "I'm a teenager, who is 49 years-old. My players feel my strenght, my character and my ambition. I'm a person with lives with intensity, which might not be politically correct sometimes. I disagree when I have to. I fight for the freedom of expression and I don't care if I get suspended for 4 matches when I feel that I have to say something. What's not normal to happen is to attempt to sell an image of perfection and then, at the end, we all know that no one is perfect. 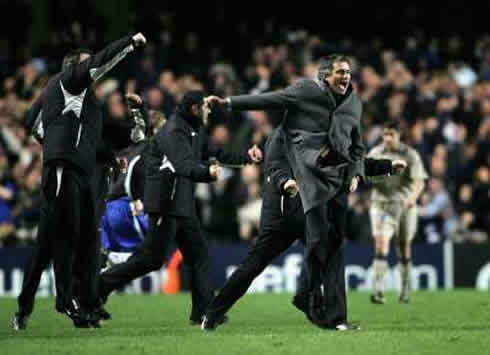 I never tried to do such thing...", remarked the Portuguese manager, in a clear allusion to Barcelona's Pep Guardiola. 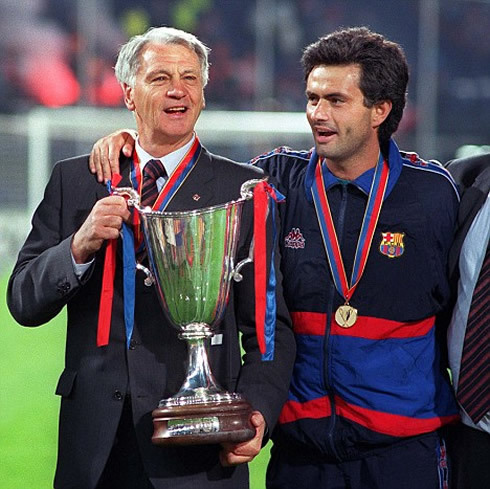 José Mourinho: "No other coach had ever won the domestic league title in the three main leagues in Europe. That was a personal goal I had set to myself even though it's expectable that more people will do the same in the future. In 10 years from now, there will probably be several players and coaches who have achieved this. My objective in the short run is to keep winning titles for the club. This experience in Real Madrid has been spectacular, both in a professional and personal dimension. After I end my journey here in Spain, what I can tell you is that I plan to keep working in one of those three countries (Spain, Italy or England). 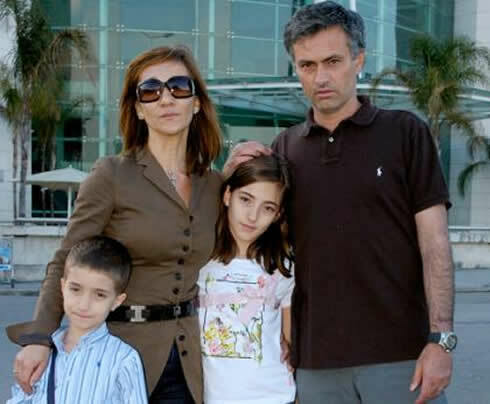 However, I still have two more years left in my contract and both me and my family are very happy for being able to enjoy a stability as we never had before, since we've always changed places in the past, every two or three years. 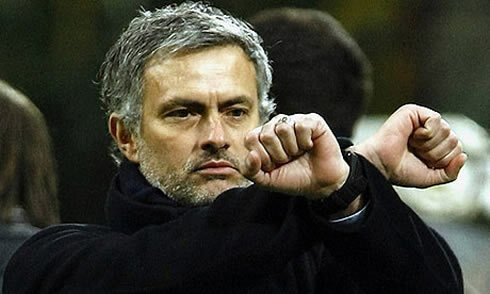 For those reasons, I'll be pleased to keep coaching Real Madrid", said the Special One, when disclosing some of his plans for the future. 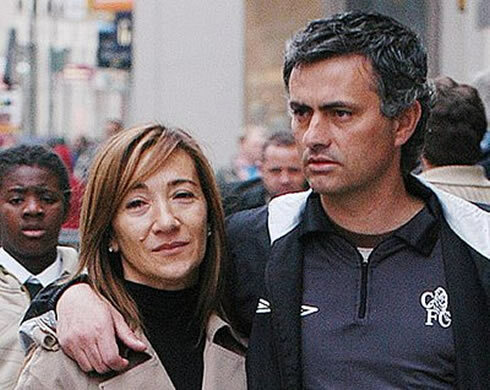 In his relationship with Real Madrid's President, Florentino Pérez, it seems to have always existed some sort of communion of thoughts. 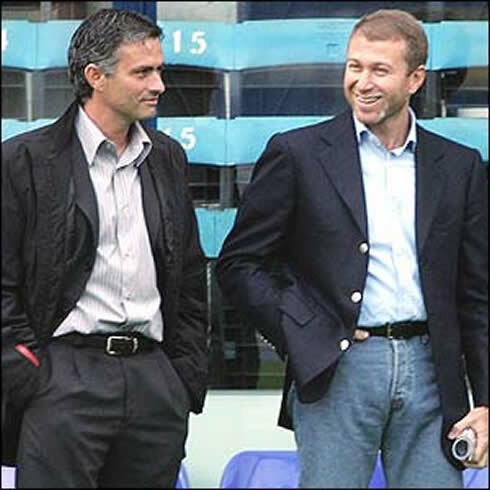 Mourinho: "Florentino convinced me with his project and his mentality. 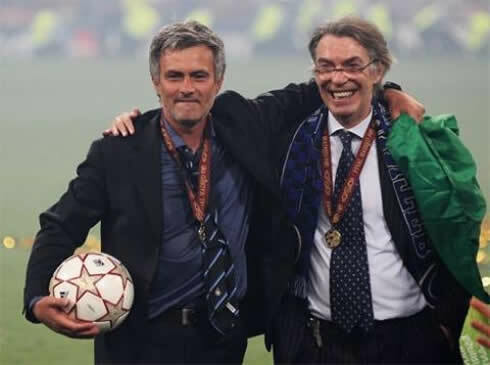 I remember he told me the club needed me and the truth is, I also needed Real Madrid since I had just won the UEFA Champions League with Inter Milan. 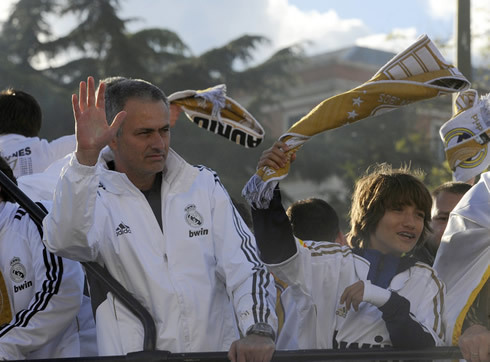 If I didn't end up coaching Real Madrid, I would had never felt my career had been fulfilled. What's important though, is not to simply coach Real Madrid, but to win something for the club. 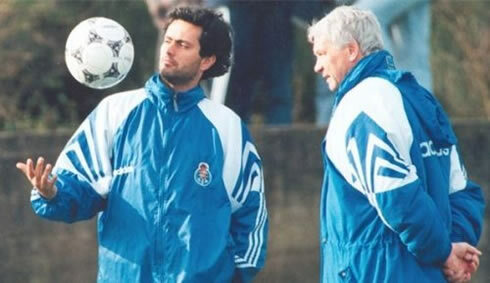 This job was and will remain being the most difficult one I had in my career", confessed the Merengues coach. 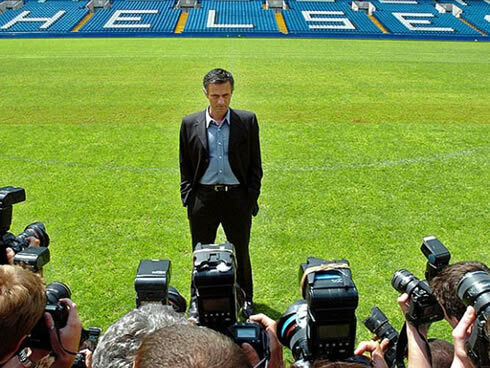 One of the biggest battles Mourinho always has upon, everytime he gets to a new country, is precisely the one with the media and the local press. 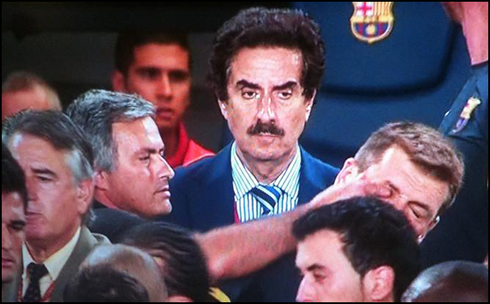 As it was predictable, it was no exception in Spain. 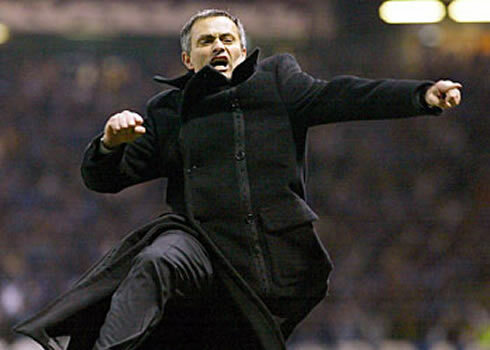 Mourinho: "They even got to the point where they called me the Portuguese dictator, which is one of the biggest offences that I've been victim of. I don't care about personal attacks anymore. However, it's unpleasant when we see our sons reading it and bringing the subject up. That touches me because they suffer with it, thinking that I'm getting affected with those news. 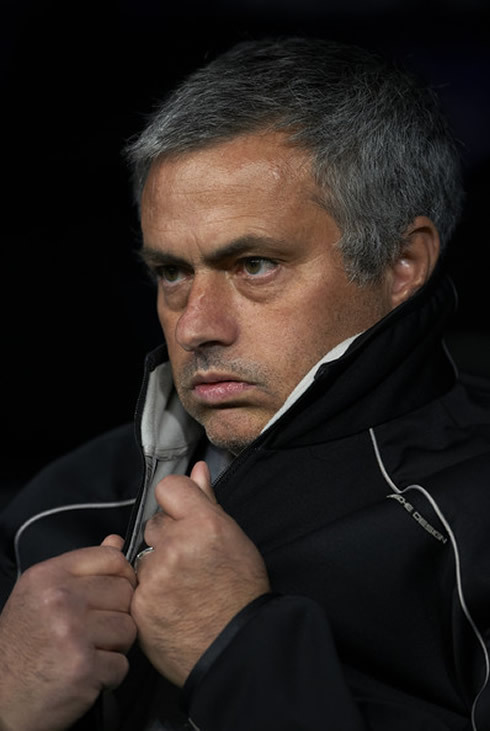 I always try to rest them and tell them to don't worry, because everything is fine...", revealed the Setúbal-born coach, José Mário Mourinho. 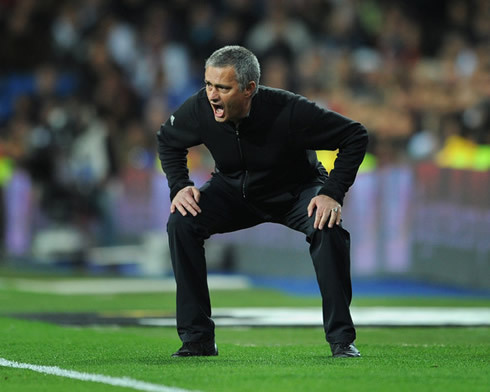 It has been usual to see many critics being thrown at Mourinho, when it comes to analyse his teams' playing styles. The Portuguese coach prefers to answer those claimings by reminding his results in the past and the way he obtained them. 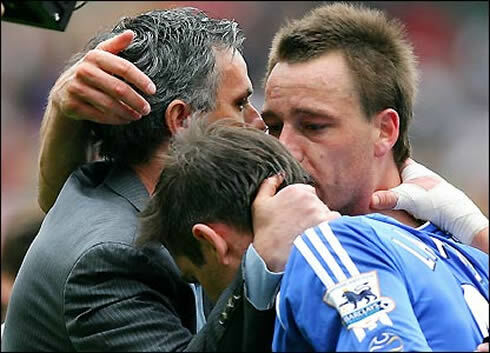 Mourinho: "What I've done over the years was to shape some players minds and make them believe in their potential. 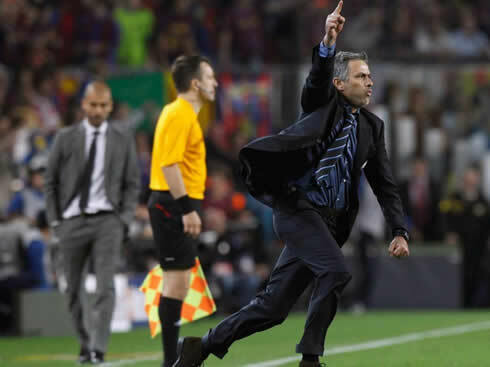 I'm still delighted with the way we play in Real Madrid and I must say I don't appreciate seeing a team tiring the other by just passing the ball around", noted Mourinho, by referring indirectly to Barcelona's tiki-taka playing style. In Real Madrid, everyone has to be rowing in the same direction. The Portuguese coach doesn't accept the idea that those who work at the club, may not feel commited with the Madridismo feeling. 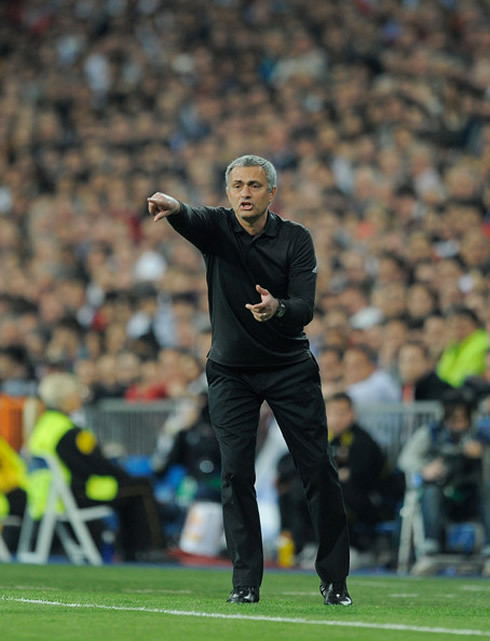 Mourinho: "I can't imagine a simple club employee not being a football fan and a Madridista. It's the same about a physiotherapist who should be excited to help a player to bounce back from an injury before the weekend, simply because he is also a Real Madrid fan. Or even like Oscar Ribot [Chief Press Oficer of the first team, who deceased recently], who loved his family like no other thing in life, but after that, it was all about the club. Those are the kind of persons who I want to work with...", disclosed the Real Madrid coach, when describing the attitude he expects to see in his staff members, from the bottom to the top of the chain of command. 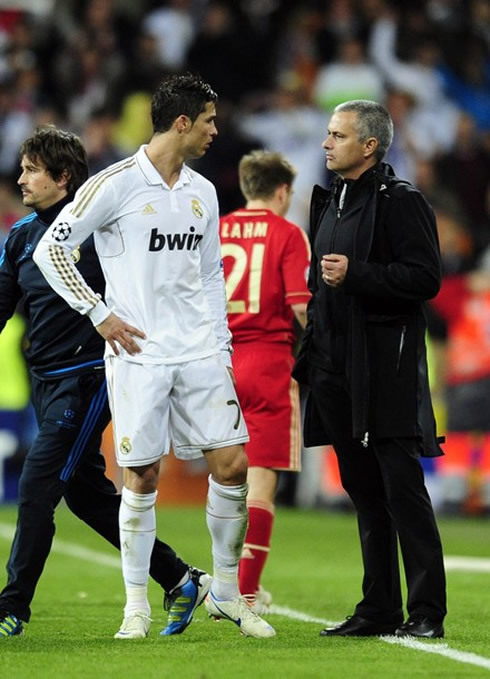 In terms of pressure, Mourinho also revealed a curious exchange of words he had with the team's captain, Iker Casillas, regarding the way the players were feeling with the Portuguese manager orders. 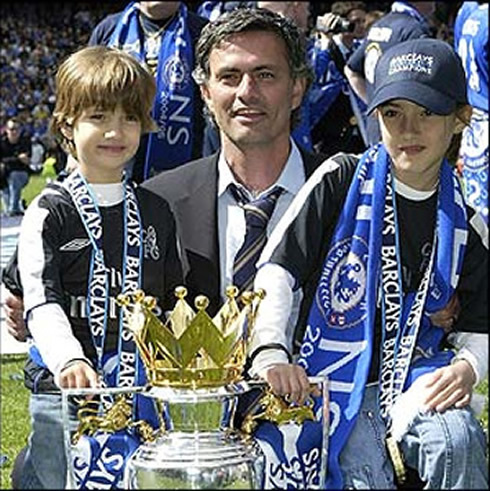 José Mourinho: "Iker Casillas told me recently that there have been several moments throughout the season where I've put them under a lot of pressure and that I could have treated them a little better. I had a good laugh with him, but I knew what I wanted to trigger when I acted like that and passed that message to my players. The timing was never random and I always had a goal in mind when that happened. 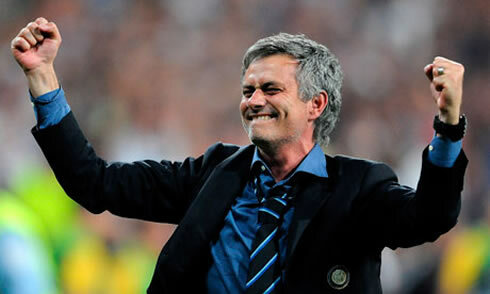 However, after we got eliminated against Bayern Munich in the UEFA Champions League semi-finals, I calmed them and told them to be relaxed, saying that the league wasn't going to slip away from us...", said José Mourinho in the ABC interview, making note of his ability to show a tough and a tender side according to the situations. As for players like the newcomer Nuri Sahin, the French forward Karim Benzema, the controverse Pepe, or one of the most loved players at the club, Gonzalo Higuaín, the Portuguese manager assured that they all still have a role to be played at the club's future. 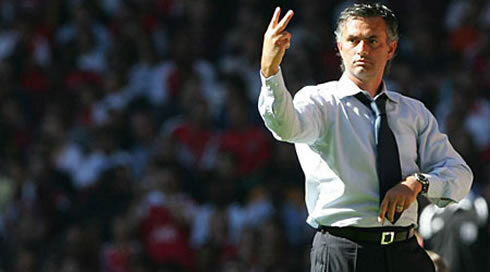 José Mourinho: "Nuri Sahin is going to stay. He didn't have the chance to make a full pre-season with us last year and he'll have it now. Benzema is definitely a very talented player. He's the main responsible for the transformation he has been into over the last two years. 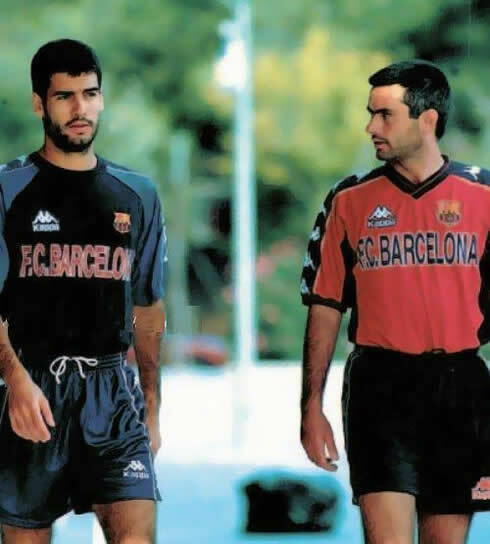 Ribot was a great help in his social life and of course Zinedine Zidane as well, who was tremendously important in helping him adapting to the club and the country. I've done my part in game aspects, like always demanding the best out of him, when training and playing", said the 'Special One', before sharing his view on Pepe and Gonzalo Higuaín as well. 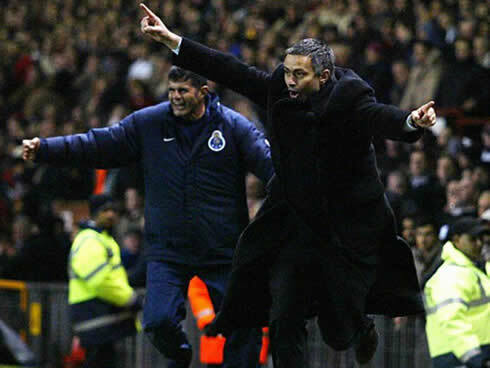 Mourinho: "Pepe is doing a terrific season. Many players in his situation would have already left to England or Italy. He had a few meetings with the club to discuss his contract renewal and I know he has always showed his will of keep playing for Real Madrid. He certainly didn't sign the best contract he had on the table, considering the offers he got and we can only be delighted with his performances and his contribution to the team. 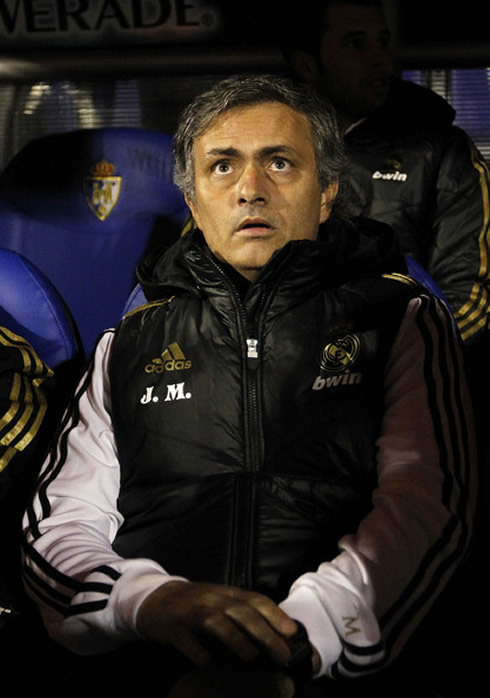 Regarding "Pipita", Mourinho also denied any intentions of "shipping" him away from the club. 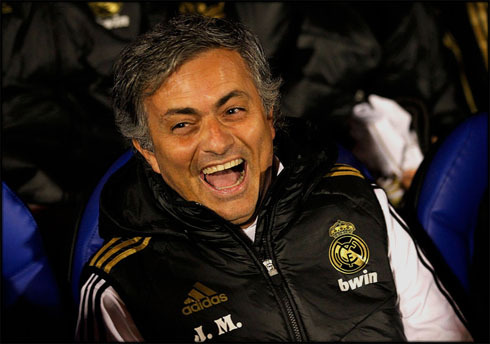 Mourinho: "Higuaín will keep playing for Real Madrid next season. He's going to remain with us, because not only I want him here, but also the club isn't interested at all in selling him! 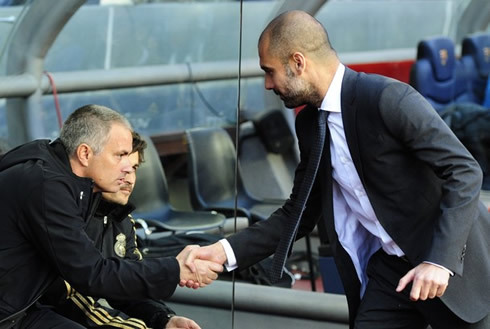 ", assured the Portuguese coach. 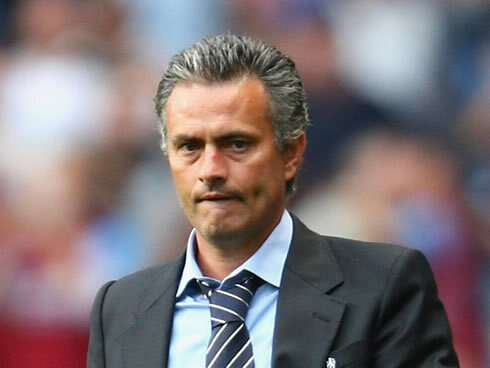 However and for the first time this season, José Mourinho confessed that the club will go after a couple new additions during the next Summer. 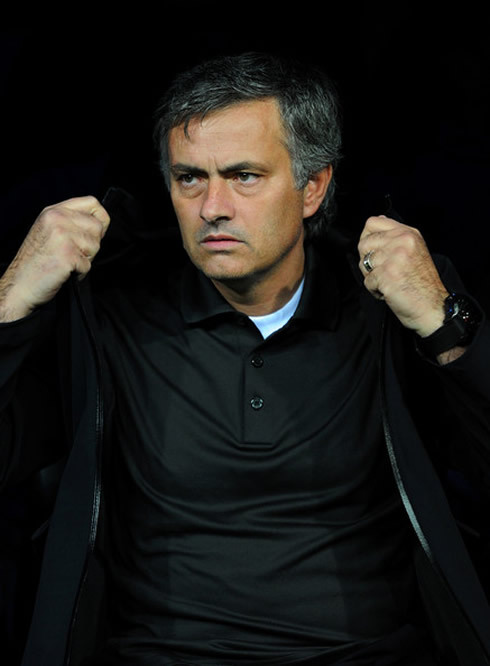 Mourinho: "We'll try to get a couple of new players in order to increase the current's squad potential. The players who have arrived this past season will feel more adapted and will be able to give more to the club as well. We'll also see some infrastructures being improved and I can only be grateful to the President [Florentino Pérez] and José Ángel Sánchez for that to happen", stated the Real Madrid first team manager. Before ending the interview, Mourinho still found time to praise both Cristiano Ronaldo and Lionel Messi, but he stressed out that the Portuguese forward is who deserves to win the next FIFA Balon d'Or the most. 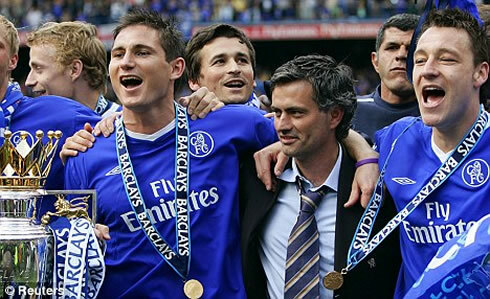 Mourinho: "Who has won the most important league in the World? Cristiano. Who has won the UEFA Champions League? None of them. Who deserves the FIFA Balon d'Or? Cristiano. If both Messi and Cristiano Ronaldo were born in different eras, they would have ruled the football scene and collected 10 FIFA Balon d'Ors each", remarked the Portuguese coach, concluding his interview to the Spanish ABC station. 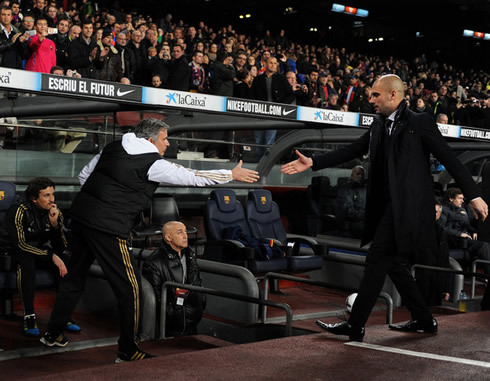 Real Madrid next and final game for La Liga is against Mallorca, next weekend, on Sunday (13-05-2012). You can watch Juventus live stream, Real Madrid vs Mallorca, Atletico Madrid vs Athletic Bilbao, Liverpool vs Chelsea and Bayern Munich vs Borussia Dortmund, all from our football live streams section. 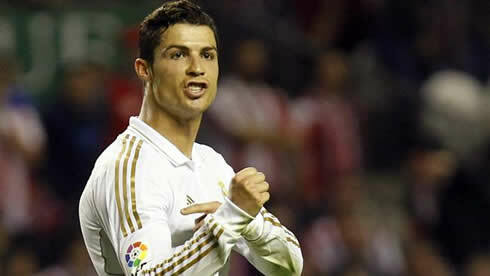 Cristiano Ronaldo will most likely be on the line-up, when Real Madrid hosts Mallorca.